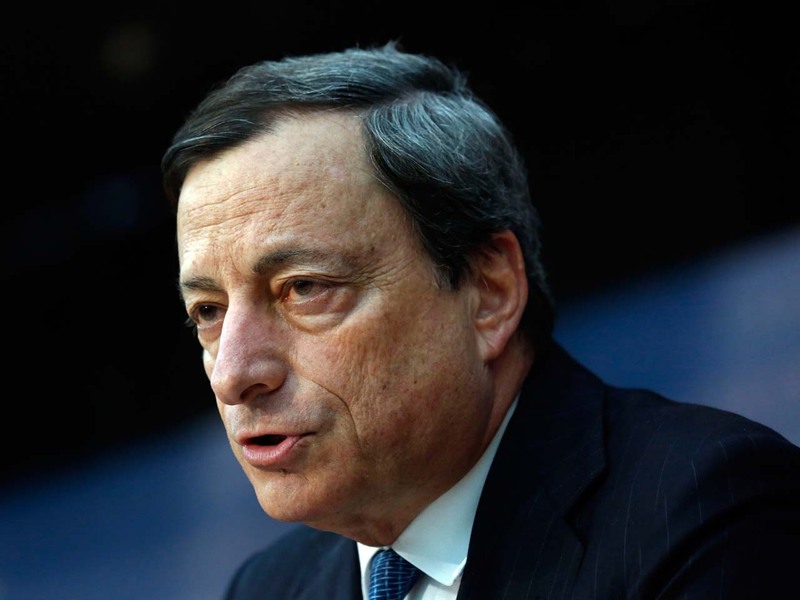 FRANKFURT, Germany - European Central Bank President Mario Draghi is urging eurozone leaders to move ahead quickly and put the ECB in charge of supervising banks a key step in overcoming the continent's crisis over too much government debt. Draghi said the ECB should be permitted to start organizing its supervisory activities from Jan. 1, as laid out in the original proposals from the European Union's executive commission. The ECB chief told members of the European Parliament's monetary committee Tuesday that the single banking supervisor, combined with later measures such as a common bailout fund and shared deposit insurance for people's savings, were "three pillars that will restore confidence" in the shaken eurozone. Together, the package is dubbed "banking union." Confidence in the European banking system has been shaken by the debt crisis that has seen Greece, Ireland and Portugal bailed out and Spain and Italy struggling to finance themselves at acceptable costs. The aim is for the single supervisor and bailout fund to take the burden of bailing out banks off of national governments. Additionally, it would address the problem of national supervisors being too protective of their banks and slow to close down or restructure home financial institutions. Shaky banks are prolonging the crisis and the accompanying economic slowdown, since fears about the system mean higher borrowing costs for banks. Those higher funding costs are then being passed on to businesses in the most indebted countries, thwarting efforts by the ECB to lower interest rates and spur growth. Draghi is pushing back against calls by German officials for a delay in the bank taking on the role of supervisor. Germany's finance minister Wolfgang Schaueble has said that the complex new set-up needs to be done correctly rather than quickly. The ECB chief said that timetable could be flexible but the ECB needed the ability to start getting ready at the start of next year. The commission proposal would have the ECB start supervising banks in the most troubled countries Jan. 1, the biggest financial institutions in mid-year, and then all 6,000 banks on Jan. 1 2014. "Questions have been raised about the timeline for when we should begin our supervisory tasks," Draghi said before a committee of the European Parliament. "Irrespective of the precise schedule for the performance of supervisory tasks, I believe that it is very important that the council regulation enters into force as envisaged on 1 January 2013. " "This would allow us to start the preparatory work as swiftly as possible."